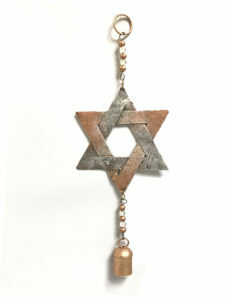 This Star of David chime will add a class touch to any space, indoors or outside. Made from recycled materials, this chime shines with silver and bronze in the sun. Retail purchases are available through Sukkot.com online store.